Ben comes from a Production Management background in Blue Chip organisations such as PepsiCo, Toyota Motor Manufacturing UK and BAE Systems. Within Toyota Ben attended Toyota Production System training at the Global Production Centre, within the Motomachi plant in Toyota City, Japan. He has led multiple Lean transformations in a variety of industries, from bespoke through to mass production, and has supported organisations to achieve transformational results. He has built the “first principles of Lean” which assists organisations to truly realise the benefits of lean. He has also applied this Lean knowledge in Product Development organisations, Further Education (where he developed an approach known as “Training the Lean Way”) and multiple “back office” environments. 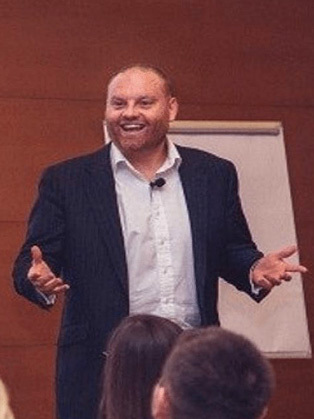 As a coach and mentor, he has supported conflicting organisations, with a history as competitors within the same market, to collaborate successfully and change their cultures to achieve previously unachievable results. He is also mentor to Senior Leaders within the Manufacturing community. As a thought leader within Change Management he has developed a coaching led, practical change model which brings about real employee led transformation. This has been used while being the change management lead & change management advisor on significant ERP implementations. Ben specialises in “Change Adoption” and has spoken at a number of conferences globally on this subject focusing on how organisations can truly realise the benefits of change projects. In 2016, Ben was named in both the Lean Management Journal’s “Lean Top 25” for practitioners across Europe who have demonstrated excellence in Lean through improved productivity, performance, process flow, or culture in their organisation and also in "The Manufacturer's Top 100" as an "Inspiring Leader" within the manufacturing community. Ben is a University Lecturer delivering lectures on Eng D, MEng, MSc and BEng programmes focussing on subject such as Lean Leadership, Change Adoption and Leading in Matrix Organisations, he is also a TAP certified Trainer. In order to better support the Manufacturing Community within Cumbria, he has worked with local Further and Higher Education Colleges in training and developing their Lecturers to understand current Operational Excellence tools and how to apply them. He combines this practical leadership experience with his extensive knowledge of Change Management, Business Transformation, Lean and Organisation Development in an exceptionally engaging and inspirational way to support organisations through significant transformations. I have known Ben for three years now and can honestly say he is one of the most inspirational speakers I have ever heard in the UK manufacturing space. He is the only speaker I have ever commissioned who has scored a perfect ten from all of the delegates in attendance in their post event valuation. This is absolutely unparalleled in my ten year experience of organising conferences in the sector. Speaking to a diverse crowd of project managers, IT professionals and students, Ben managed to serve up best practice tips, illuminating stories and common pitfalls of IT change implementations in a clear, intelligent and engaging fashion. In addition, he also ran a very effective and enjoyable interactive session that got everyone in the audience thinking about business change concepts and applying them in a practical and useful way to real life situations. I would definitely recommend Ben as an event speaker. His style is personable and self-deprecating and crucially, he really makes an audience feel like he’s out to support their development.